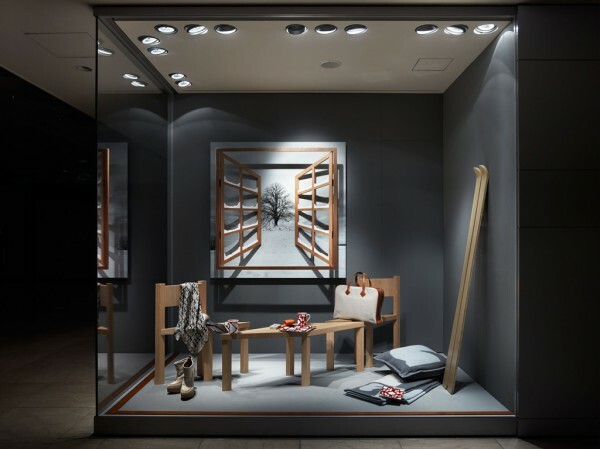 We created a window display for skiing collection that will be deployed at six locations in Japan under Hermès yearly theme in 2013: "Chic, le sport!" 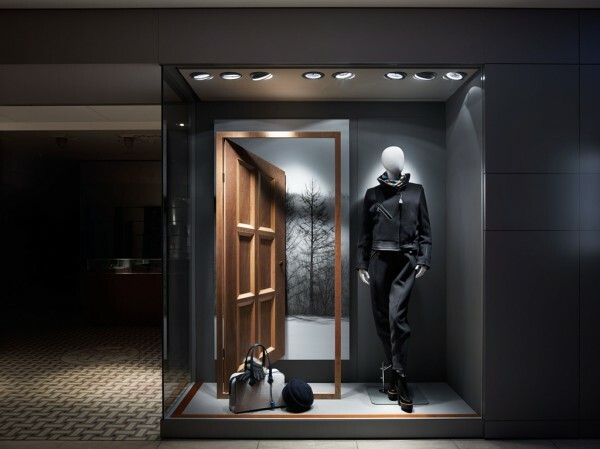 The display showcases beautifully designed skiwear that not only provides the functionality required for winter sports, but is also elegant. 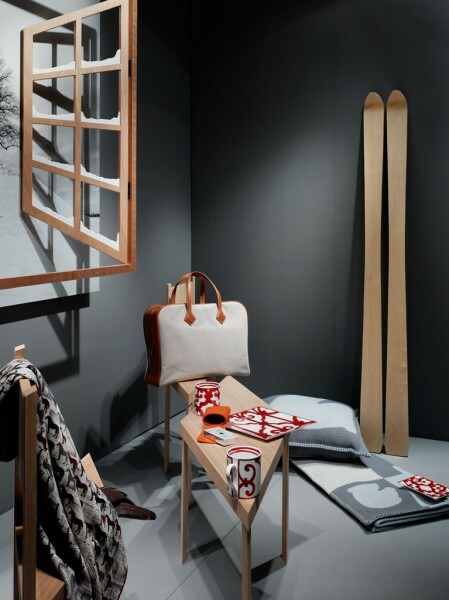 As such, we thought of presenting scenes of time to savour the joy of the mountain with or without skis..
Fragmentary interior elements, such as snow-laden window sills, a table set and a pair of skis framing a person returning from the slopes or about to go out skiing evoke such gracious moments against a winter backdrop featuring snow-covered mountains, frozen lakes and woodlands, etc. 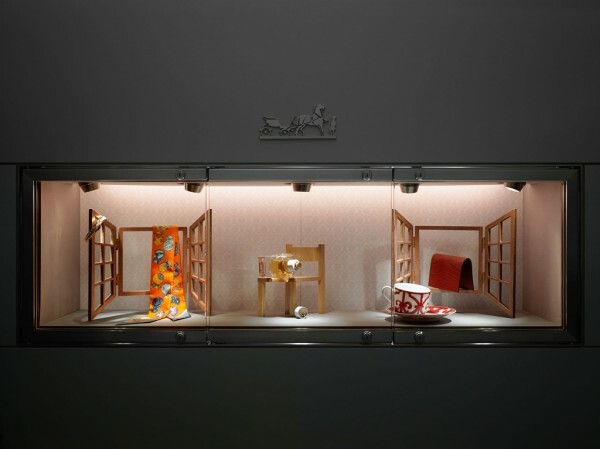 Furthermore, the window- and door-frames as well as the table and chairs are distorted by perspective to narrow their depth, thus creating an altered sense of depth within the narrow confines of the display window. 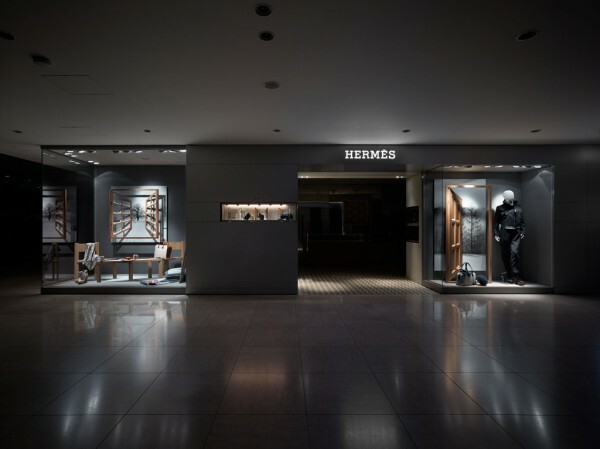 We sought to create a world outlook embodied by anelegant interior winter scenery in which various products will be showcased at six locations in Japan for a period of two months.